Manhood on the Line: Working Class Masculinities in the American Heartland. Forthcoming University of Illinois Press April 2016. In production. “Stalin over Wisconsin:” The Making and Unmaking of Militant Unionism, 1900-1950. New Brunswick: Rutgers University Press, 1992. 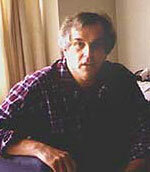 Co-editor with Nelson Lichtenstein. On the Line: Essays in the History of Auto Work. Urbana-Champaign: University of Illinois Press, 1989. The Five Dollar Day: Labor Management and Social Control in the Ford Motor Company, 1908-1921. Albany: State University of New York Press, 1981.